Dynafit varisation staples are ideal for the realization of osteotomies and arthrodesis of small fragments. 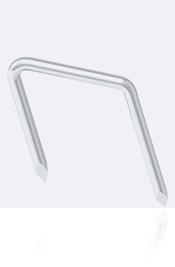 Dynafit staples are available on: - 26°angled - 90° straight - 2 sizes, 8 &10 mm legs lengths. 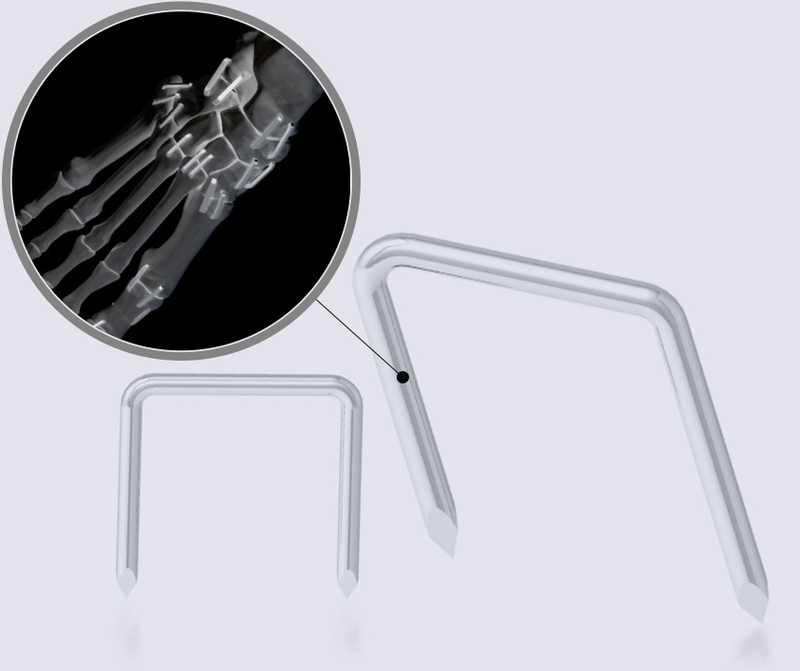 The intuitive and simple instrumentation is composed of dedicated (oblique or parallel) drill guides for making pre-holes and dedicated impactors for inserting the implant into the cortical bone. A mini kit is available in order to achieve variation staples surgery.